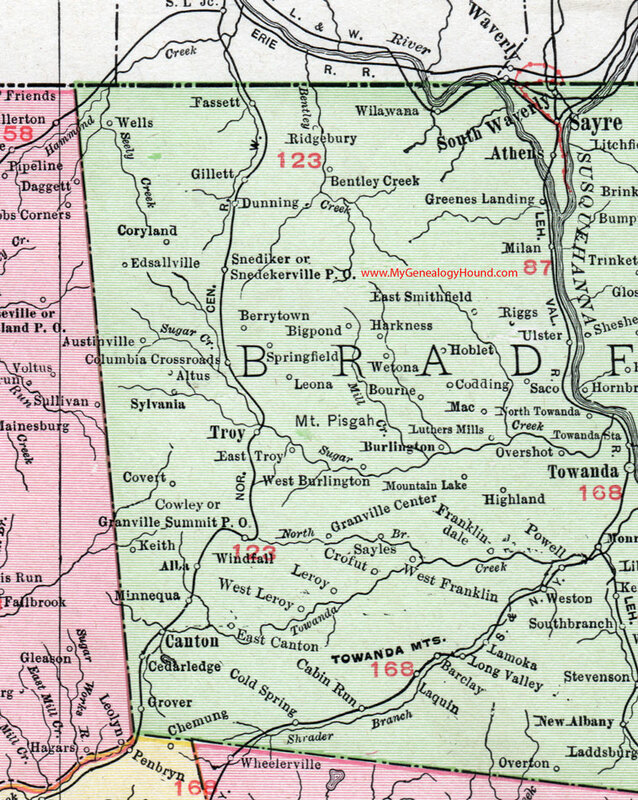 This Bradford County, Pennsylvania map is a portion of an 1911 Pennsylvania map by Rand McNally. See the enlarged map views below. 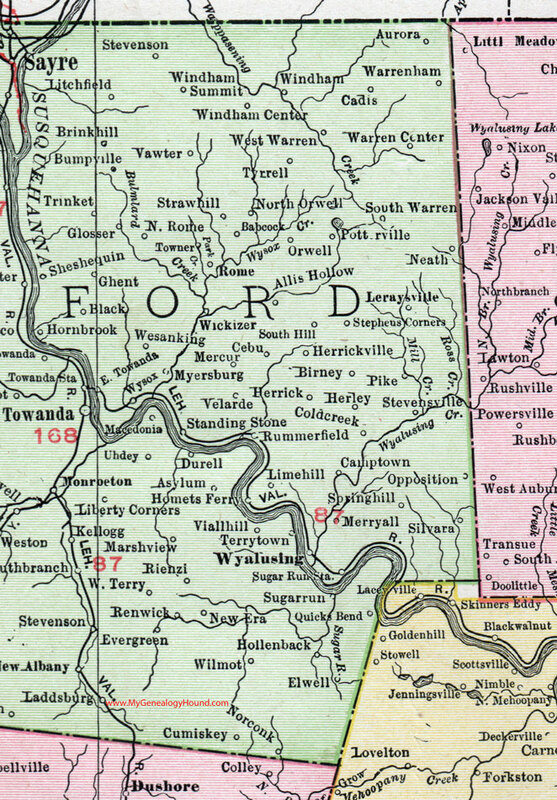 An enlarged view of western Bradford County, Pennsylvania on an 1911 map by Rand McNally. 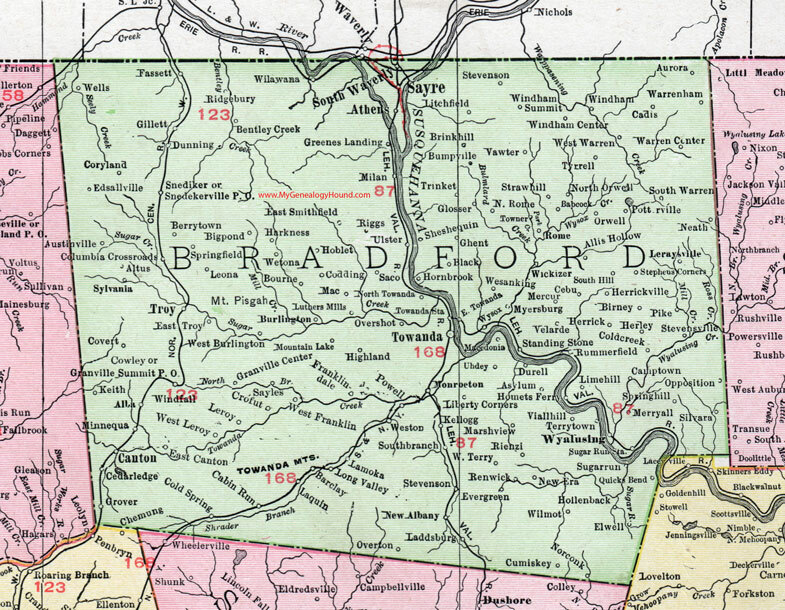 An enlarged view of eastern Bradford County, Pennsylvania on an 1911 map by Rand McNally.